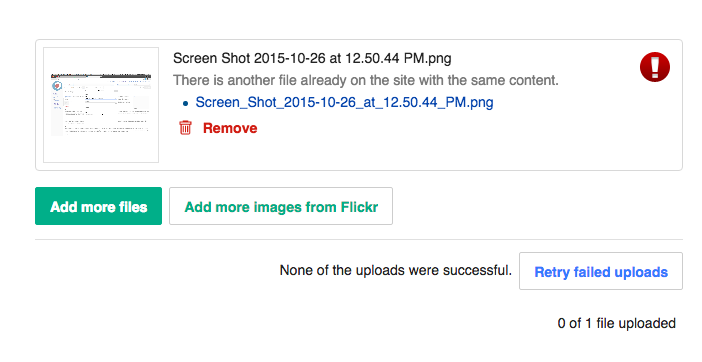 "Remove" button for individual files in the upload step should be a OOjs UI button. Jdforrester-WMF removed a parent task: T96914: Migrate UploadWizard UI elements to OOjs UI. Jdforrester-WMF moved this task from Untriaged to Next up on the Multimedia board. TasneemLo set Security to None.